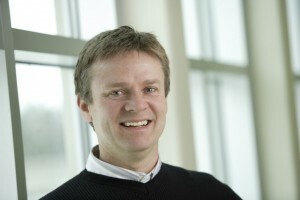 For over ten years, Scott May has worked at Western University as Campus Communications Consultant. He is a member of the Media Relations team, part of the External Department at Western. A good deal of May’s day-to-day efforts are directed towards strategic communications and dealing with the internal campus communities. For example, he recently supported Human Resources in communicating about a staff awards program and Information Technology Services in communicating wide changes in student email services. “The exciting aspect of my role is that I also have the opportunity to serve as a member of our dynamic social media team and provide video support to highlight the exciting work done by world-class researchers at Western,” says May. Over his career, May has also supported the community through a number of organizations. He currently sits on the organizing committee for the Business Cares Food Drive Committee and provides communications support for Western’s United Way committee, London’s largest employee campaign. May was introduced to IABC almost 24 years ago. From this experience as a member, he lists three main benefits.